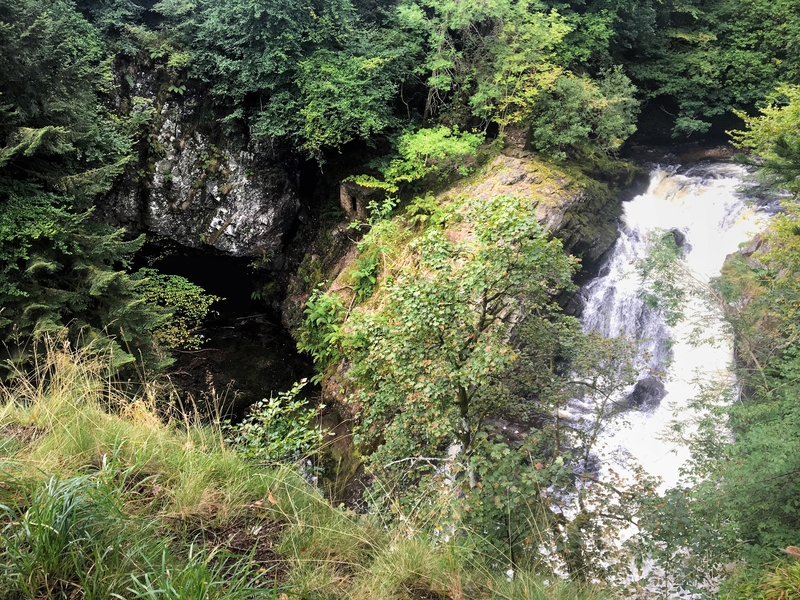 So we get a lot of rain here in Scotland….but that also means we have spectacular waterfalls to go see! I recently visited The Falls of Falloch at the north end of Loch Lomond and after a week worth of heavy rain the 30ft high falls were truly spectacular and the water cascading down into the river below could be heard from the car park. 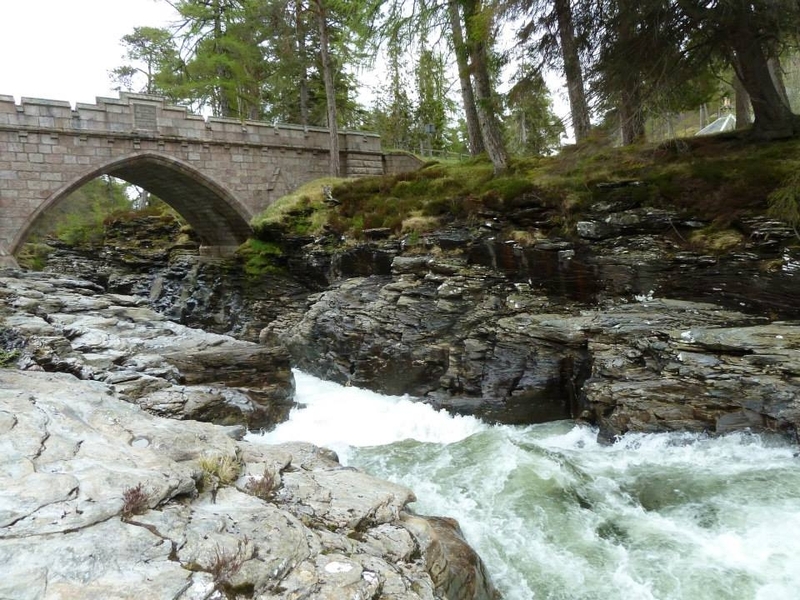 The falls are a short walk from the car park, but the walk along by the river Falloch is beautiful with some great wee places down by the river to have a picnic, but beware it is a deep and fast flowing river! 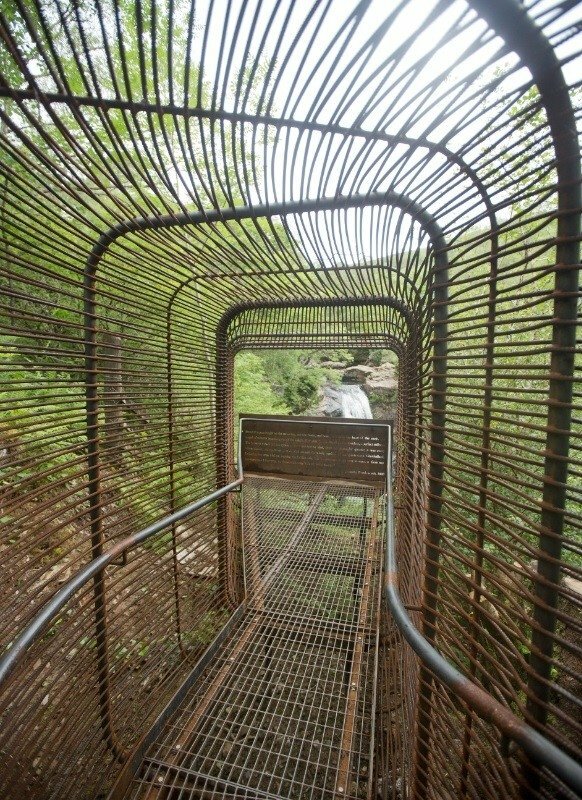 An interesting feature at the Falls is The Woven Sound, an iron walk way and view point designed by John Kennedy as part of the Scenic Routes Trail throughout the Loch Lomond and The Trossachs National Park. The iron structure extends out from the edge of the path allowing you to get even closer to the falls. What other waterfalls are a must visit? With so many to go see, could this be an alternative to ‘munro bagging’!?? The falls at Corrieshalloch Gorge by Ullapool are a must see. It's an absolutely beautiful place. 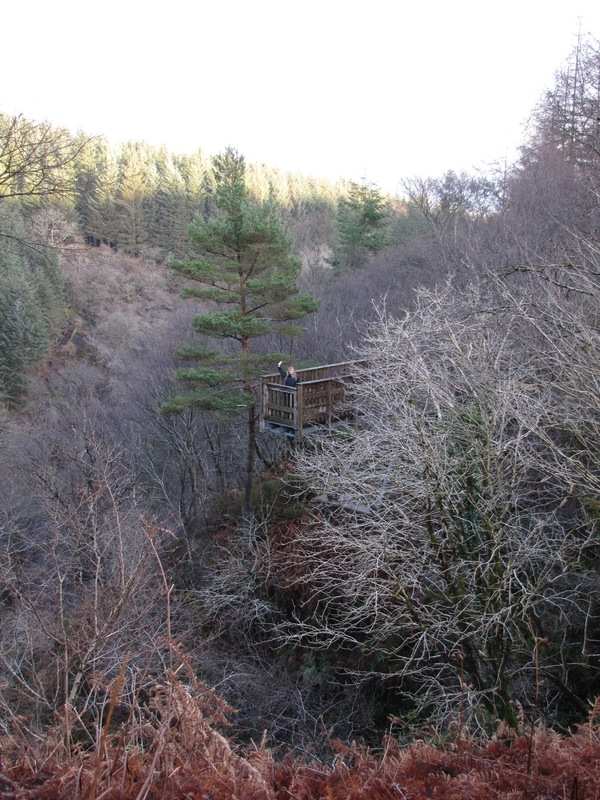 The shoogly bridge to cross the gorge and viewing platform suspended over it are terrifying but fun. 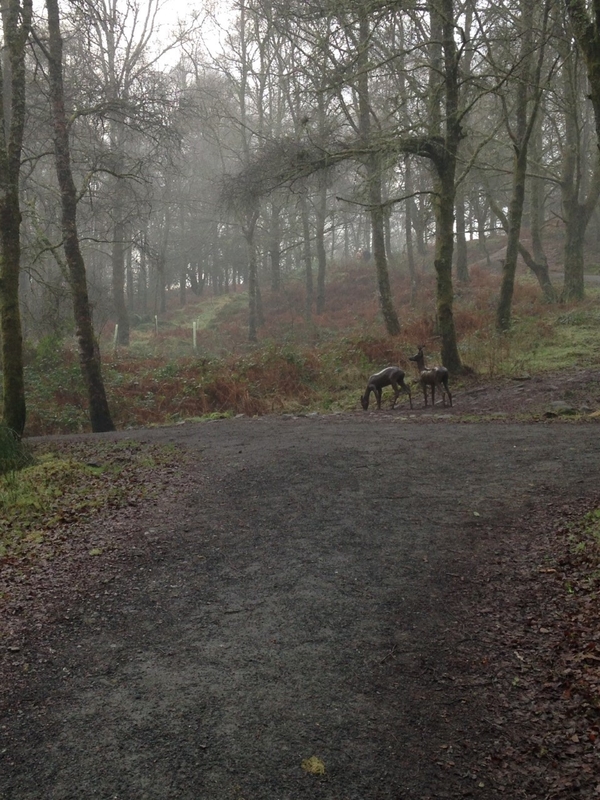 I love the walk into the Glen - it is so beautiful and has a really distinct feel about it. It always makes me feel like I'm in Jurassic Park! 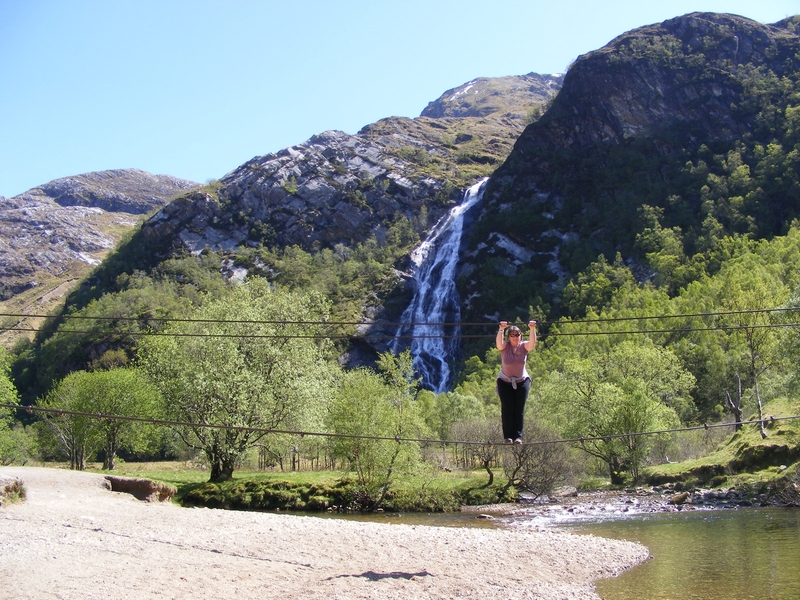 There's also a wire bridge you can use to cross the river, which can make for an adventure! These are amazing in spate - you can soaked on the viewing platform just from the spray! They're relatively high (nearly 50 metres) but what I love is the a great cantilevered viewing platform that juts out so you get a fab view. Nice walk in, and a huge drop (over 100 metres) into the gorge. 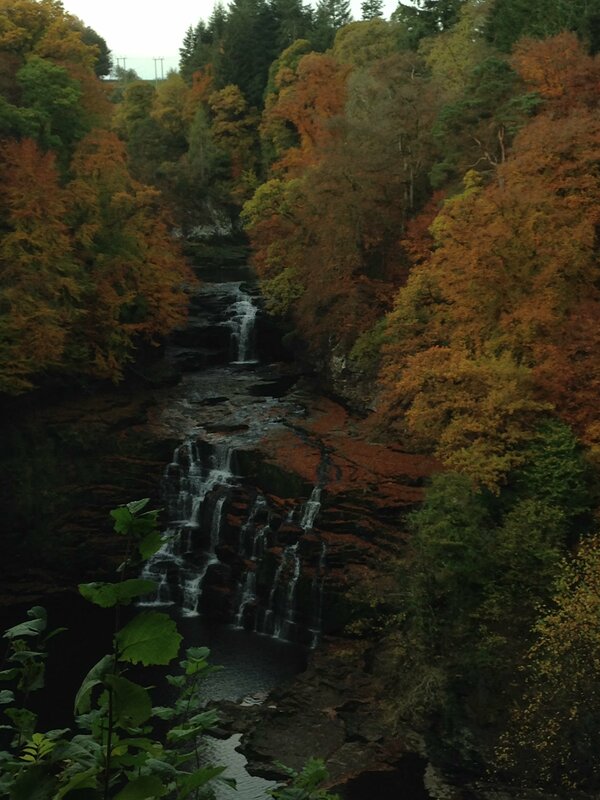 Corrieshalloch Gorge and the Falls Of Measach never cease to amaze me - I forget how deep the gorge is every time! It means ‘Ugly Hollow’ in Gaelic, but it's the total opposite! Not that high, but thunderous! There's a suspension bridge to walk over the gorge, and a viewing platform which give a great perspective. 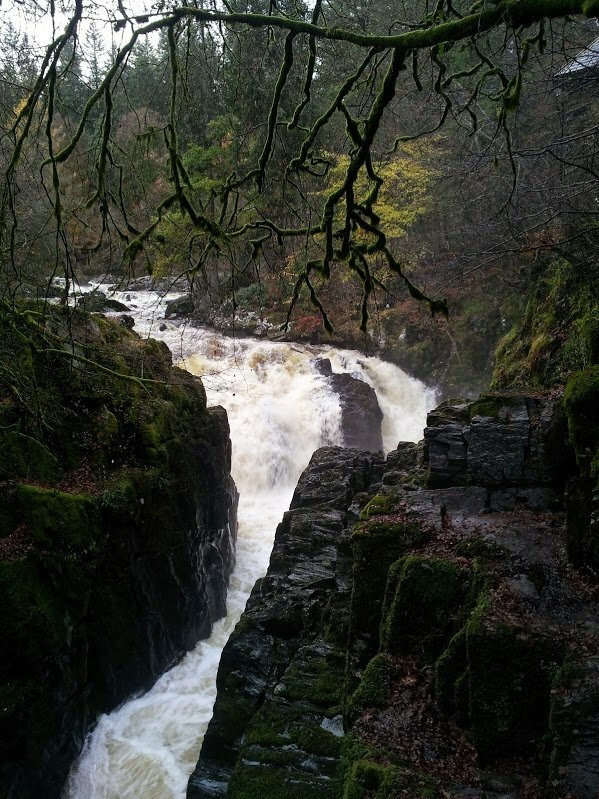 The falls of Shin near Bonar Bridge are lovely and if you go at the right time of year you will see salmon jumping. The only down side is the path down to the viewing platform. It is quite steep and you really need to wear good footwear as it can be quite slippery. The Isle of Skye has many waterfalls, all of which are spectacular but as you drive on the road between Broadford and Portree you will see some at very close hand. The Falls of Braan at the Hermitage at Dunkeld are always a favourite spot. Unique in the fact that you can view them from a 18th Century Folly. 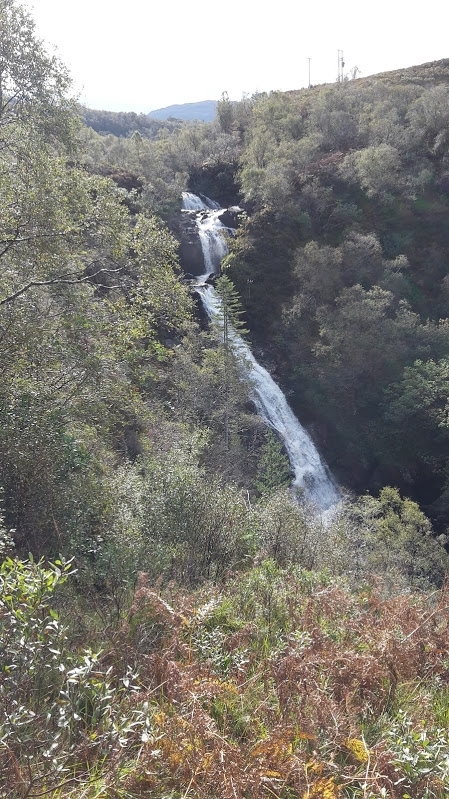 Another nice one is the Falls of Bruar - a steep climb but worth it. 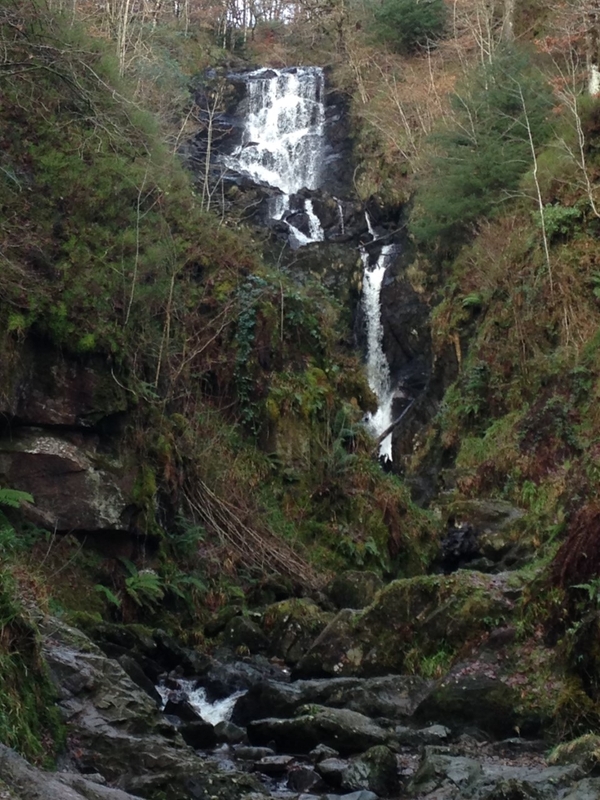 lovely photographs @Fofoma, the Falls of Braan look amazing! 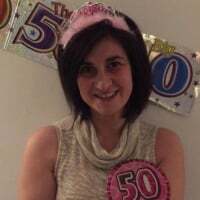 @Samantha_Grant @AmyNess I remember visiting Corrieshalloch Gorge a number of years ago whilst returning from a campervan holiday to the Gairloch. The viewing platform that juts out over the edge is scary but fun at the same time! @Fofoma. I love Ossian's Hall with the little balcony. @Fofoma - I agree, the Hermitage is very beautiful. The village of Dunkeld is really worth stopping at as well - make sure you see the old Cathedral. When I stopped there last year, a wedding party was just leaving, it was lovely to see. 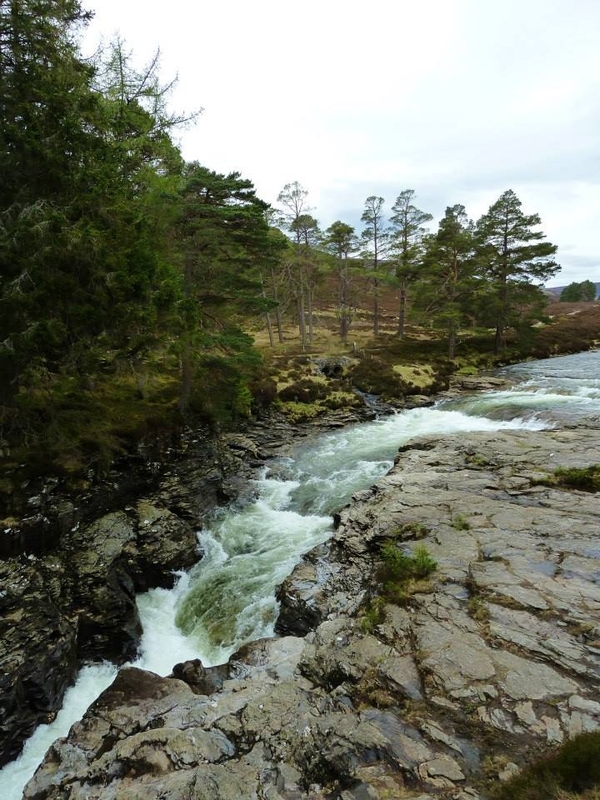 The Falls of Dochart in the village of Killin at the southern tip of Loch Tay are pretty special too. 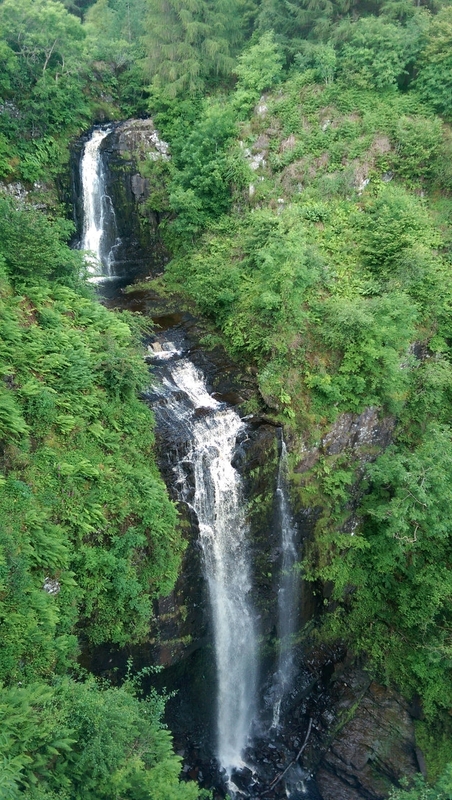 Glenashdale Falls on the Isle of Arran are impressive! It's a great wee 4.5km circular walk in Whiting Bay. It can take around two hours to walk round the route. As well as the Falls you'll see another mini waterfall, Iron Age Fort and you have the additional option to visit the Giants' Graves, a neolithic tomb. Beautiful woodlands too. 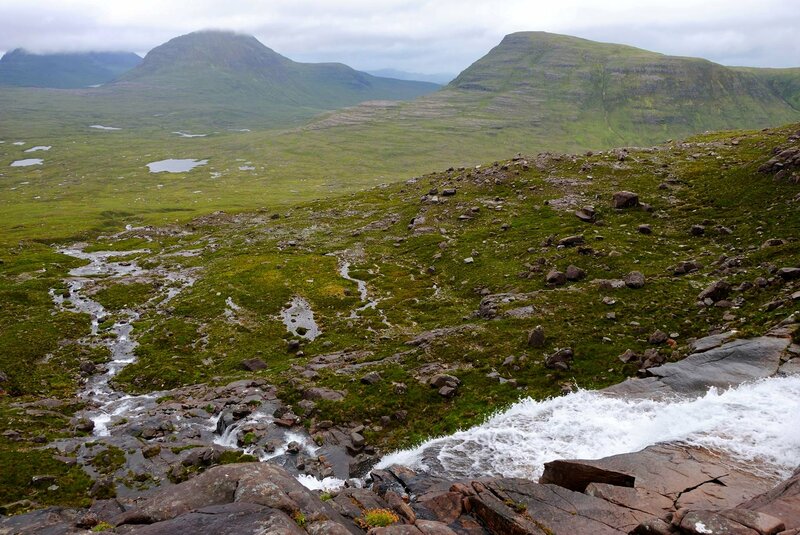 I think waterfall bagging is a great idea @VisitScotlandLyndsay! I really need to see more of them. They look and sound magnificent in all seasons! 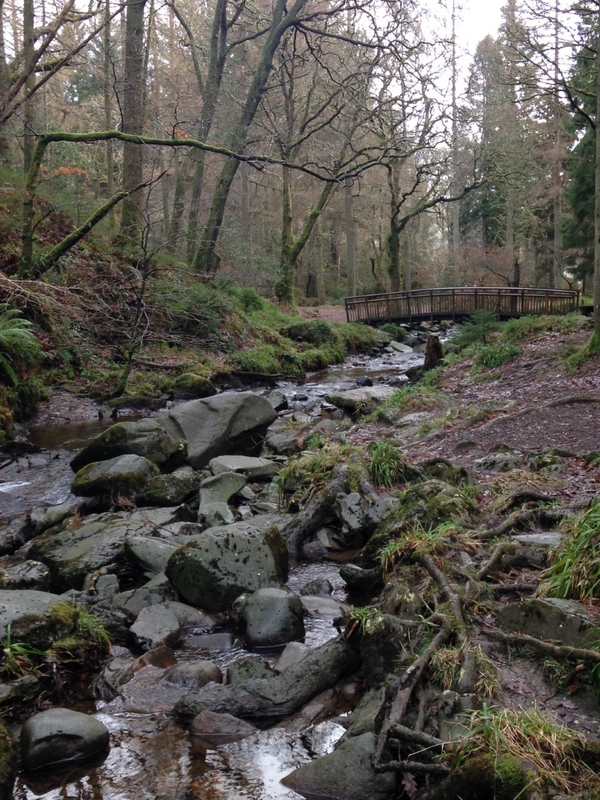 wow @DMWScotland, Glenashdale waterfalls look amazing! . The viewing platform certainly does its job, the views are spectacular! The Linn of Dee waterfall at Mar Lodge Esate (6 miles from Braemar) is just beautiful and a must see gem when you visit Braemar! A great picnic spot too! 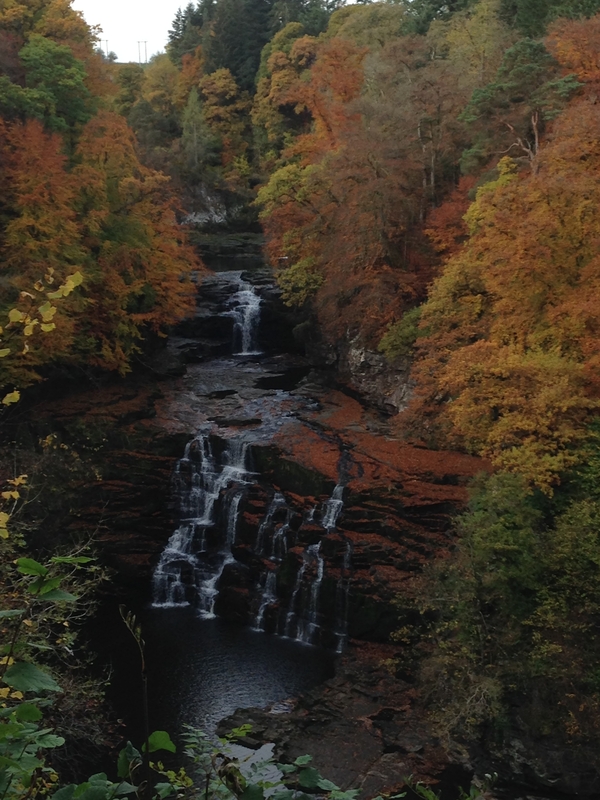 Glenashdale Falls look amazing @DMWScotland ! Foyers Falls at Loch Ness are well worth a visit and it's a fantastic, but steep, walk down to the viewpoint. Autumn is my favorite time of year to see the falls when the colours are spectacular. @DMWScotland We are planning a trip to Arran next year...those look amazing and are definitely on my list! @Fofoma there is so much to explore on Arran! You'll love it. In July this year we explored a new walk to Coire Fhionn Lochan. Beautiful waterfalls most of the way up to the mountain loch. Well worth the hike! If you click on the category Isle of Arran you can see other walks I've explored. I try to visit at least once a year! The Grey Mares Tail in Kinlochleven in full flow is a must see too. Park in the small carpark in the village and then it's just a short walk up the path to the waterfall viewpoint. 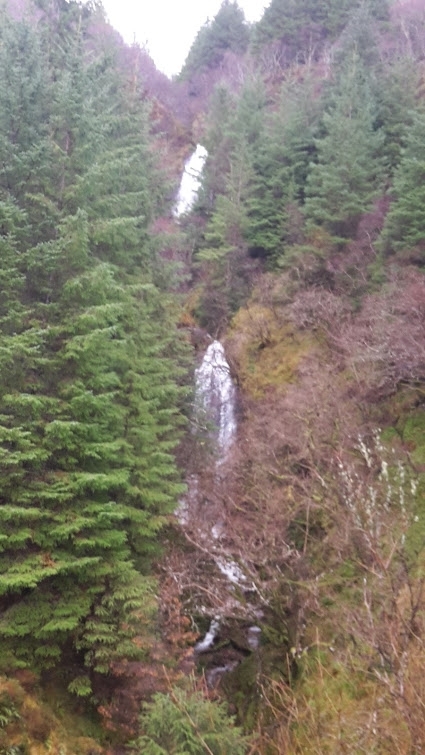 You can also walk down from the viewpoint and look up at the waterfall. Majestic and powerful. I like the Falls of Feugh in Banchory, Aberdeenshire. If you are lucky, you can see leaping salmon. @VisitScotlandJulie thanks for adding the link! 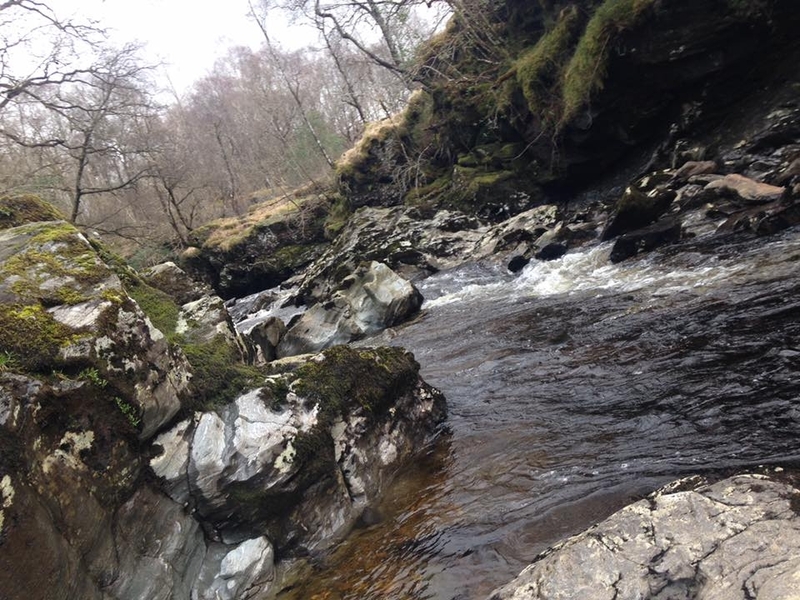 I have visited Steall Falls a few years ago and the walk to get there was an adventure in itself. The falls are spectacular but I wasn't brave enough to attempt the crossing on the wire bridge. Your photographs are fantastic @ElaineR, your two wee pups look like they are having fun! 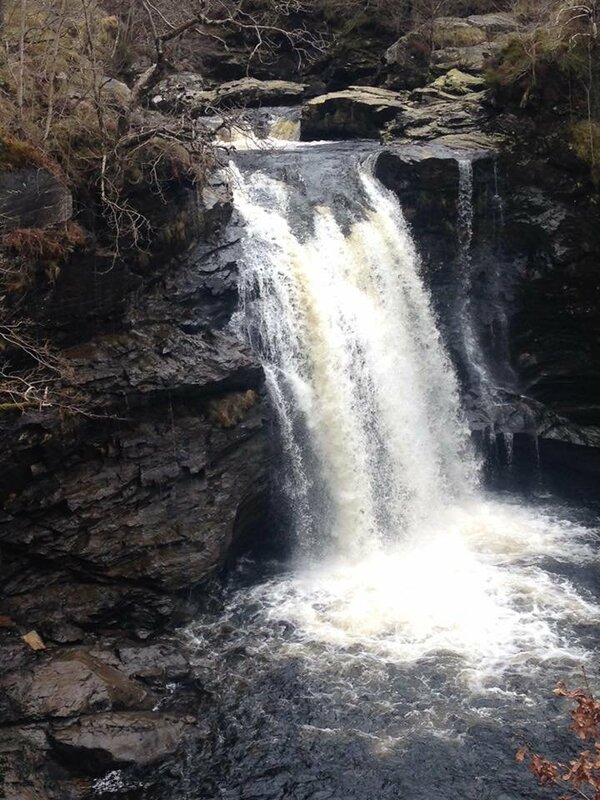 I visited Reekie Linn in Angus over the weekend. Despite the warnings of an unprotected 45 metre sheer drop nothing prepared me for the terrifying shock of arriving at the falls/gorge. I scrambled back off up the track to terra firma like a rat up a drainpipe. 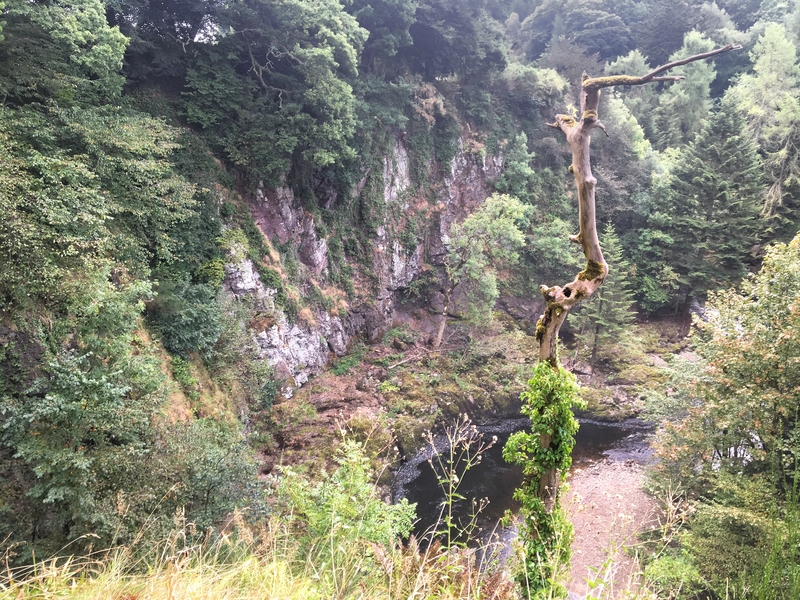 Reekie Linn got its name from the fact that the spray it gives off looks like smoke. Reekie is a Scots word for smoky. Useless fact of the day. Just back from the Falls of Falloch and definitely agree they are wonderful. 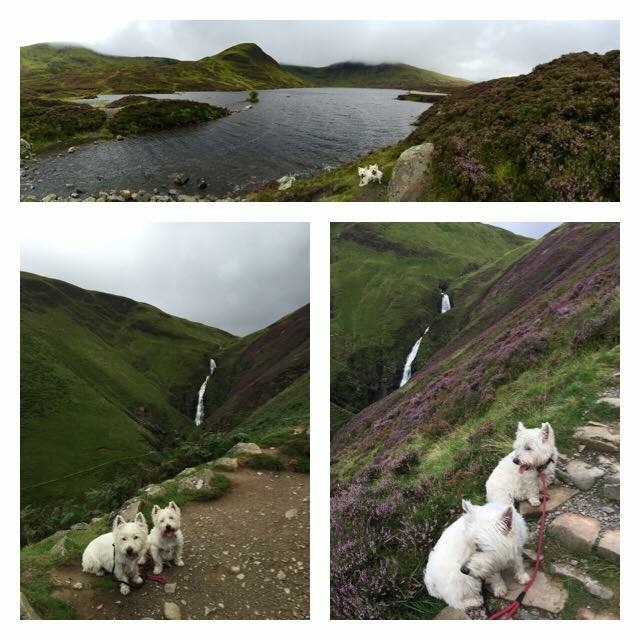 For scale, special mention to Grey Mare's Tail in Dumfries and Galloway. It also makes for a gorgeous hike up and over to Loch Skeen. 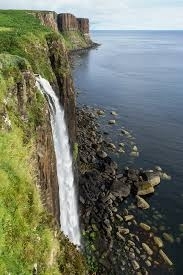 Hi @travelswithakilt, glad you agree the Falls of Falloch are wonderful! 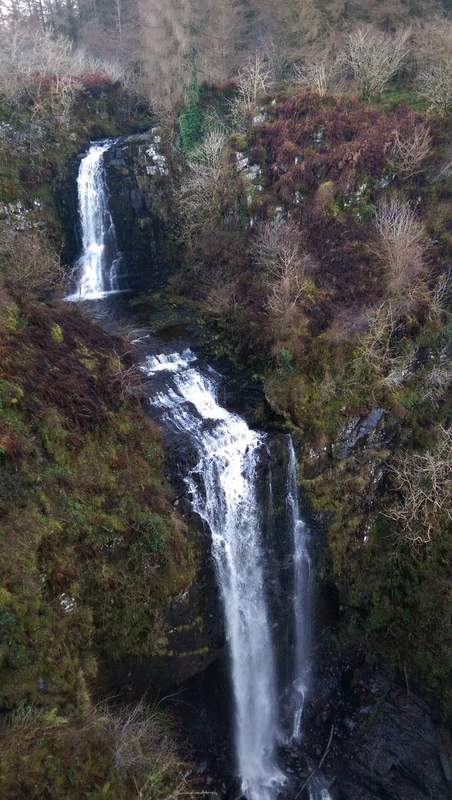 What with all this heavy rain here in Loch Lomond these past few days all the waterfalls in and around the Loch Lomond and The Trossachs National Park will be spectacular to go and see. Bracklinn Falls, Falls of Lenny and the Falls of Dochart just for starters. Mealt Waterfall with Kilt Rock behind it on Trotternish near Staffin, Skye. A truly majestic sight. 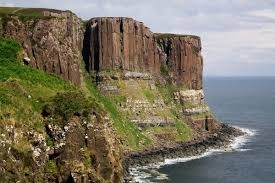 Kilt Rock is named so because the rock resembles the pleats of a kilt. Agree with @Fofoma , the Hermitage is one of my absolute favourites as well. 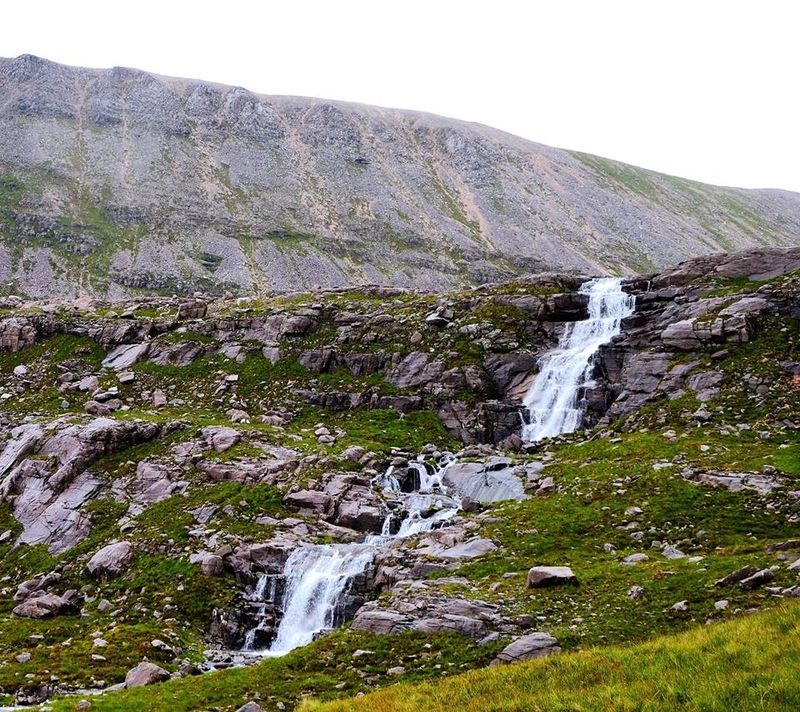 The most magical waterfall I saw recently was a mountain loch fall in Torridon. Don't think it has a name but it's at the very end of the Coire Mhic Fhearchair trail. Very powerful & relaxing with panoramic views from the top. One hundred and twenty metres high, Steall Falls I think would have to be my favourite. The walk in along the river and through the gorge is a bit of a trek (especially if like we did, you do it the day after climbing Ben Nevis!) but I love that you get no idea that the falls are there until it opens up. The photo is of me a few years ago, slowly, making my way across the wire bridge. You are very brave @FullStopNextChapter!! I preferred to view the falls from the banks of the river when I visited. I visited New Lanark at the weekend for the first time and really enjoyed my walk along the river. And although bits of it did prove how unfit I am, the views were worth it! I visited Aberfoyle recently and spent some time exploring The Lodge Visitor Centre. 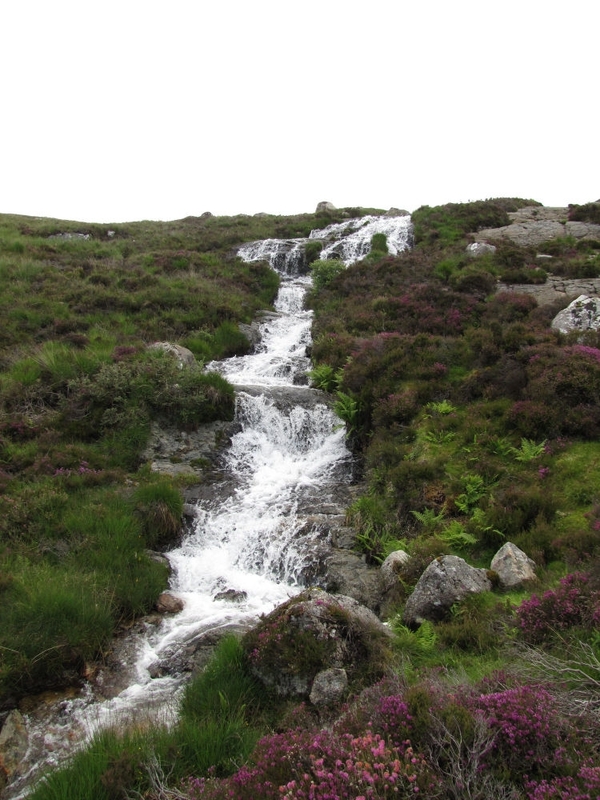 There are many footpaths that leave from the centre, one of which has a lovely surprise at the end, a beautiful waterfall . 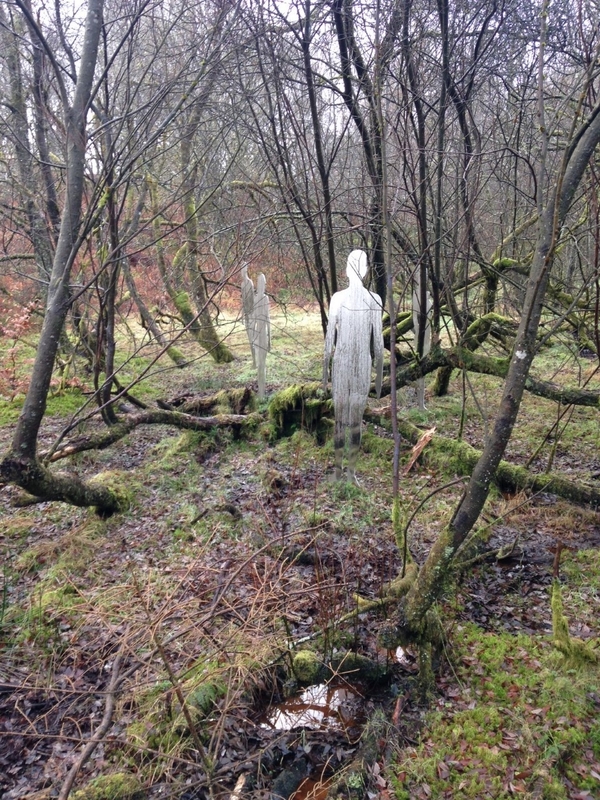 There are also some interesting sculptures to be found along the pathways, and amazing views of The Queen Elizabeth Forest Park. It really does make for a great day out.